We found the perfect fall day to visit one of our old haunts. 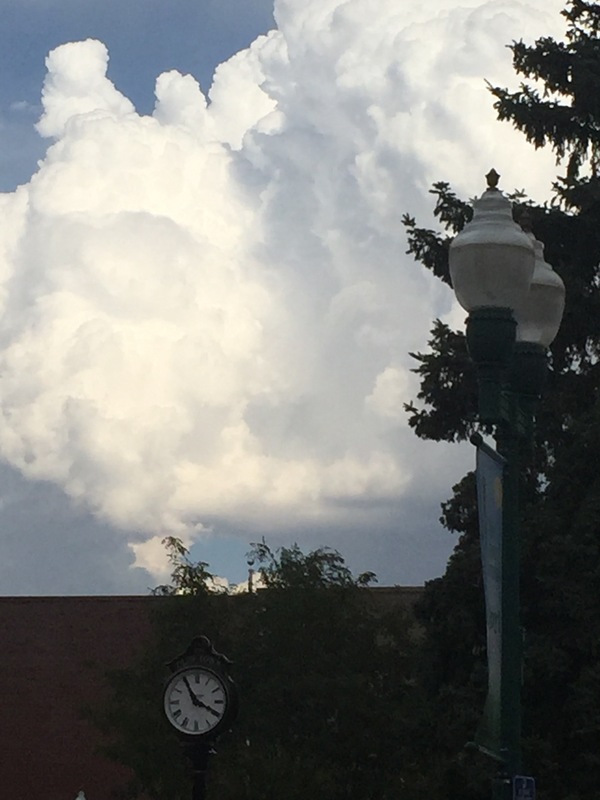 Olde Town Arvada is about to experience a big changes due to the light rail station. The increase in foot traffic will be great for the businesses. Parking has always been an issue in Olde Town, so the city has opened a new lot near the movie theaters and offers a shuttle to bring you downtown. 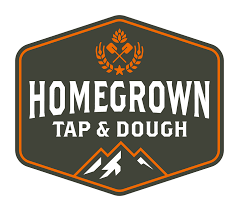 We stopped first at a newer pub, Homegrown. They have a nice patio right on main street, it’s a bit noisy with traffic in the afternoon, so we were seated inside near a window. 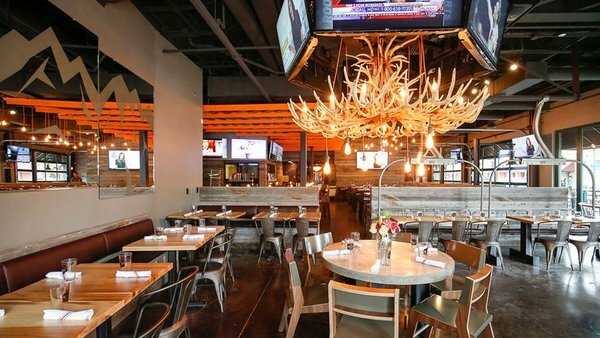 The decor is somewhat industrial with a touch of antlers. It was quite comfortable, the servers were friendly and efficient. If you want to try a truly delicious appetizer, have the brussel sprouts. They were amazing. We ate every bite, down to the last crumb. Then it was time for a stroll to see what had changed in Olde Town, turns out, quite a bit. 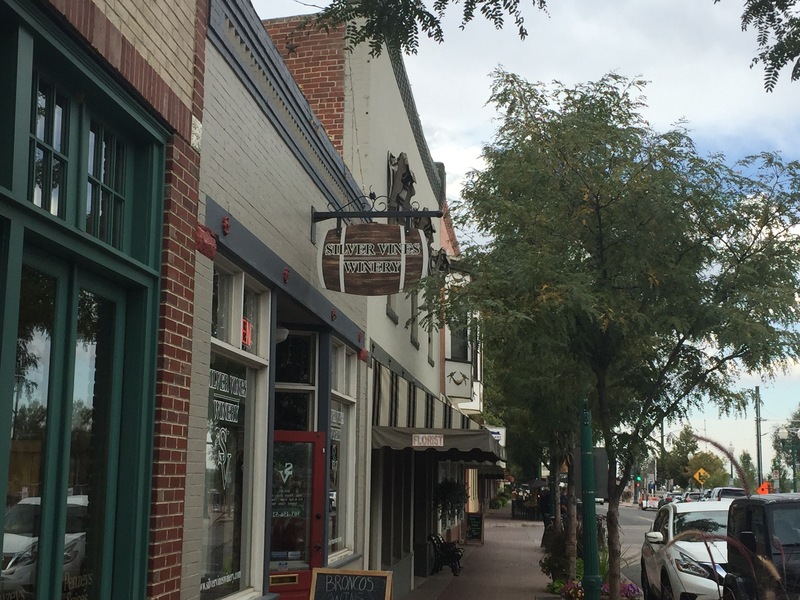 There were a few of the long-time businesses, such as the Arvada Tavern. We’ve eaten here a few times, it’s always good. They did have a Rockabilly group upstairs once in a while, not sure if they still do. As always the Rheinlander Bakery smelled delicious, they are celebrating their 53rd year. 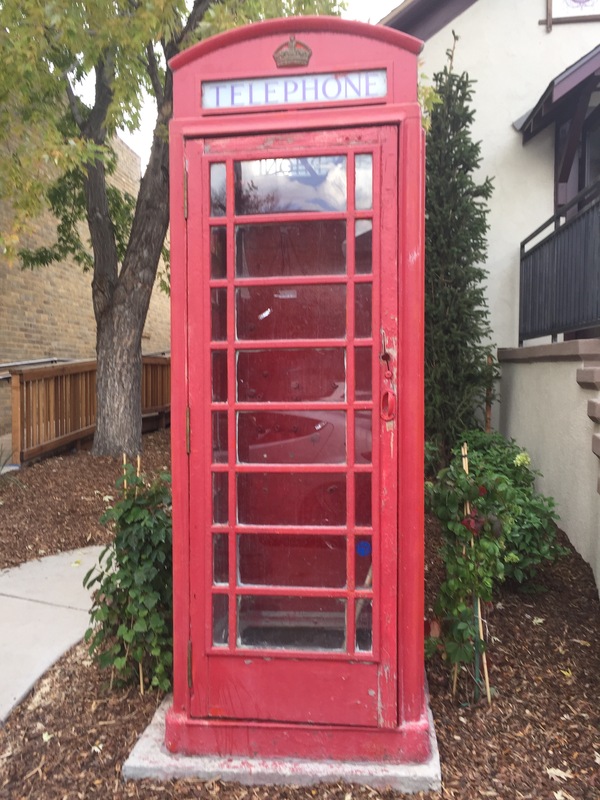 We hurried on by as our taste buds were yearning to go inside, but our waistlines said no! 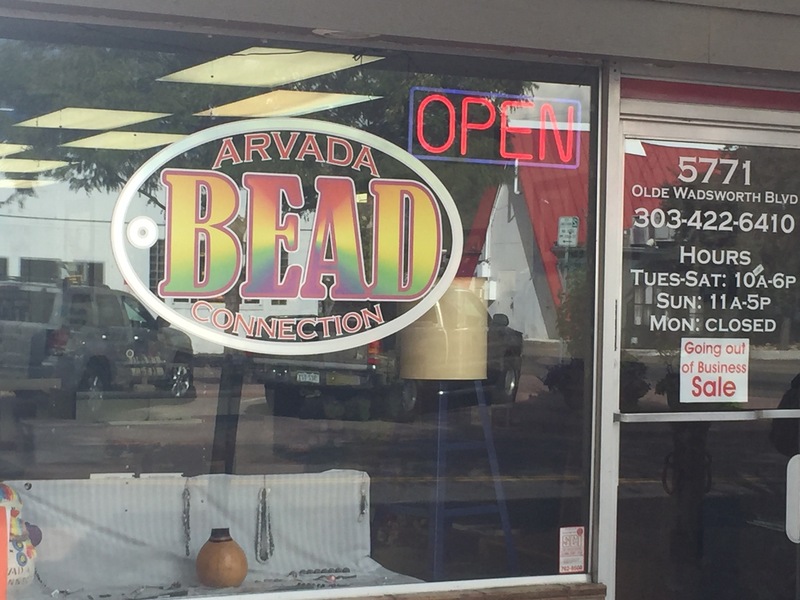 We strolled on down to Arvada Bead Connection, a local favorite where the proprietor is very friendly. Sadly, he is having a going out of business sale. With the changing demographic, the rents are being raised and parking removed which doesn’t appeal to his clientele. MB made sure to scoop up several seed bead tubes for future crafting. We wished him the best and moved on. Fuzzy’s Tacos across the street is said to be good, we haven’t tried it yet. 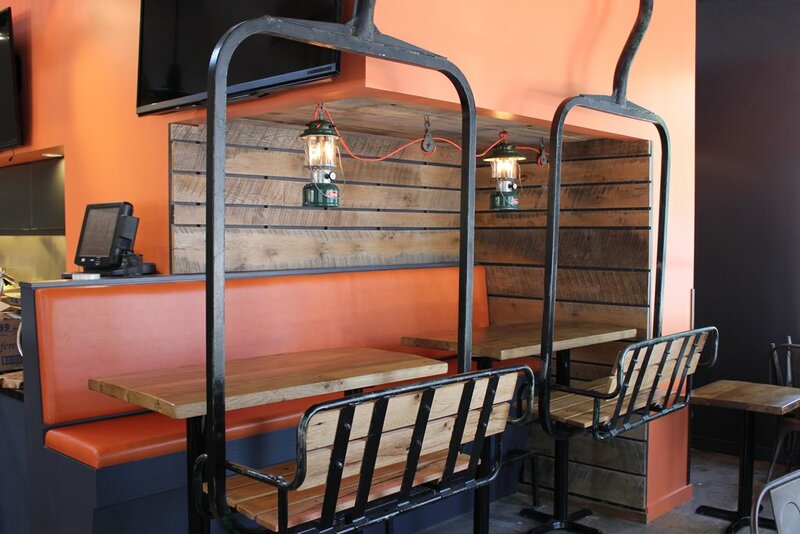 There are a growing number of new coffee shops, which we are sure will appeal to early morning commuters. If you want to make your commute really good, drop into the Rheinlander. Hey, you’ll be walking to the light rail, so it’s all good! 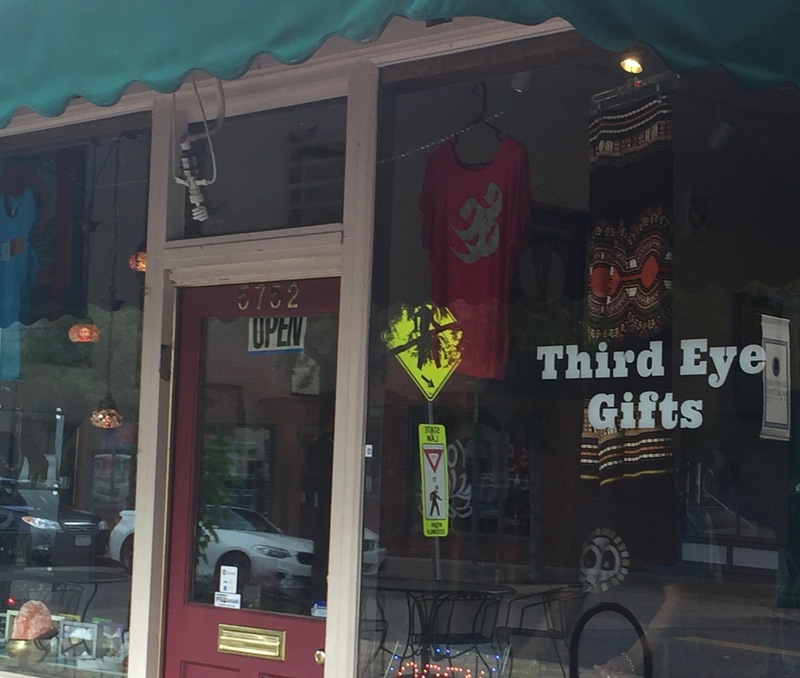 Our next stop was Third Eye Gifts, upon entering you feel the warmth of positive energy. The proprietor has several Himalayan Salt Lamps lit and producing negative ions. The negative ones are positive! The smell of incense was not overwhelming, just an added touch. We asked about the singing bowls and the owner took quite a bit of time to demonstrate them and teach us how they work. We were definitely rookies when he had us try them. I think we’ll be back to purchase one soon. This may be a new favorite shop. For as chilly as it was, there were still kids in the water park! Located in the center of Old Town, they offer movies here in the summer. During the day, it’s a spot for kids to play while the adults relax on the nearby benches and visit. Near the holidays, a Christmas Tree and other decorations are added. You can also take an old-fashion carriage ride through downtown. We have to admit, this is an improvement on the parking lot that used to sit here. 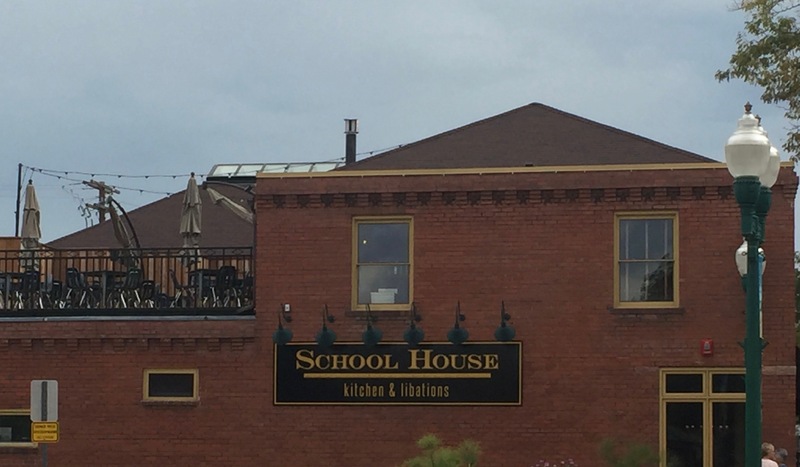 Schoolhouse Kitchen & Libations is aptly named as it is in the old Arvada School. We’ve heard nothing but rave reviews about this place. We happy to see them re-purposing the old buildings rather than tear them down. It helps to maintain the ambiance. 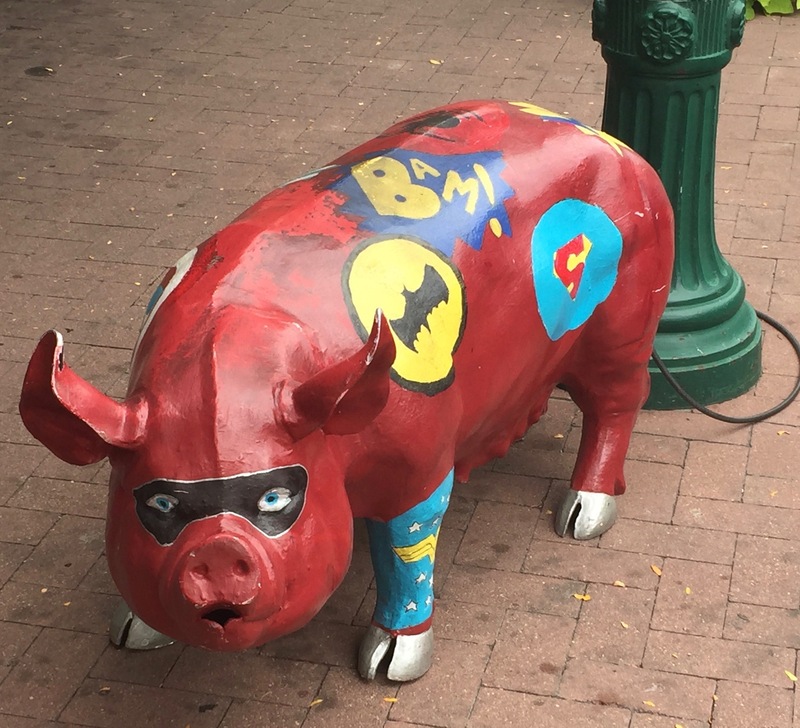 A local favorite with children of all ages is Scrumptious Ice Cream and their cement pig mascot. He’s a Superhero today, just a few months ago, he was a hippie, but he’s always good for a kids photo-op. The shop itself offers some unusual and delicious home-made ice cream flavors, dark cherry and bourbon flavors are favorites. Everyday they have something different. 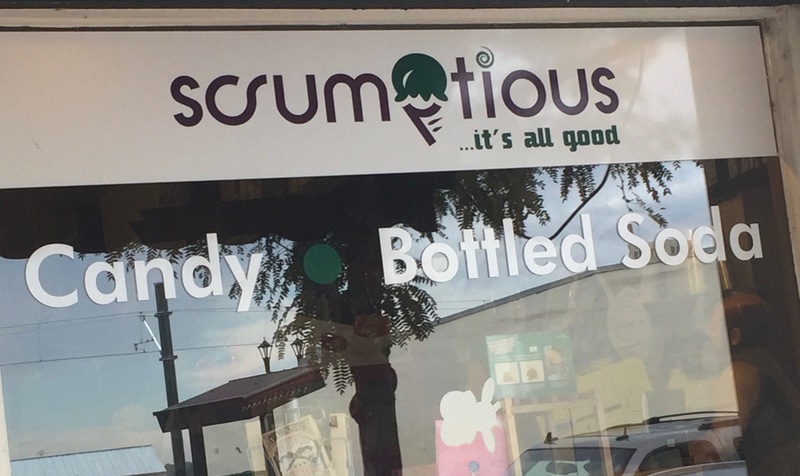 On one side of the shop is the ice cream parlor, on the other is an old-fashioned candy store with bottled soda. On a hot evening, this place is packed. 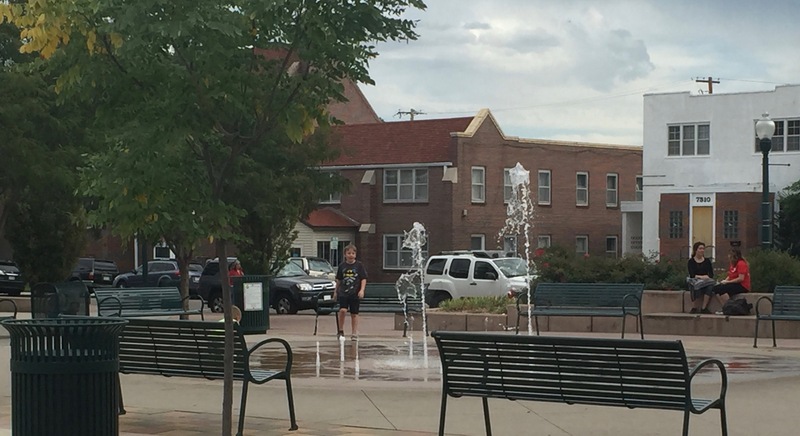 Right across the street from the light rail station, they’ll be busy all year-round. We ran out of time to further explore, and there are so many new shops and restaurants to visit. Penzeys Spices and Silver Vines Winery are first on the list for our next downtown stroll. 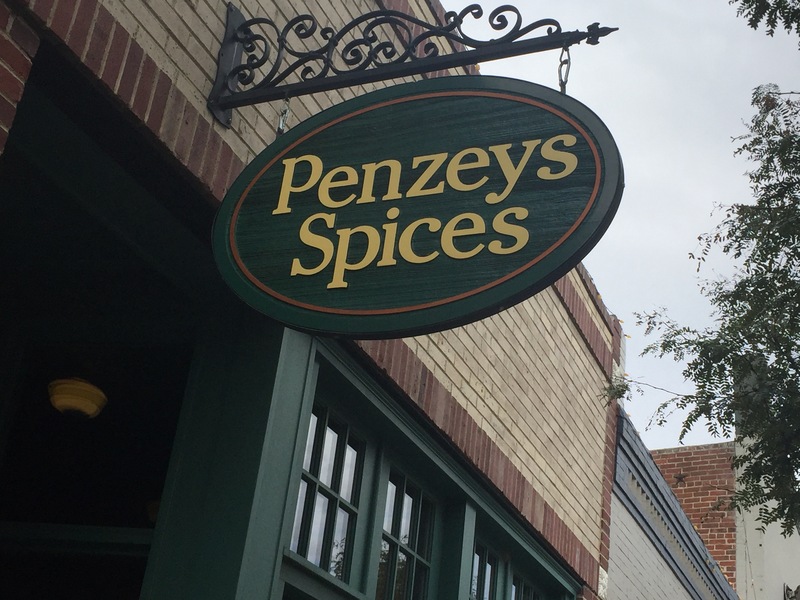 Can you imagine how wonderful Penzeys Spices must smell? 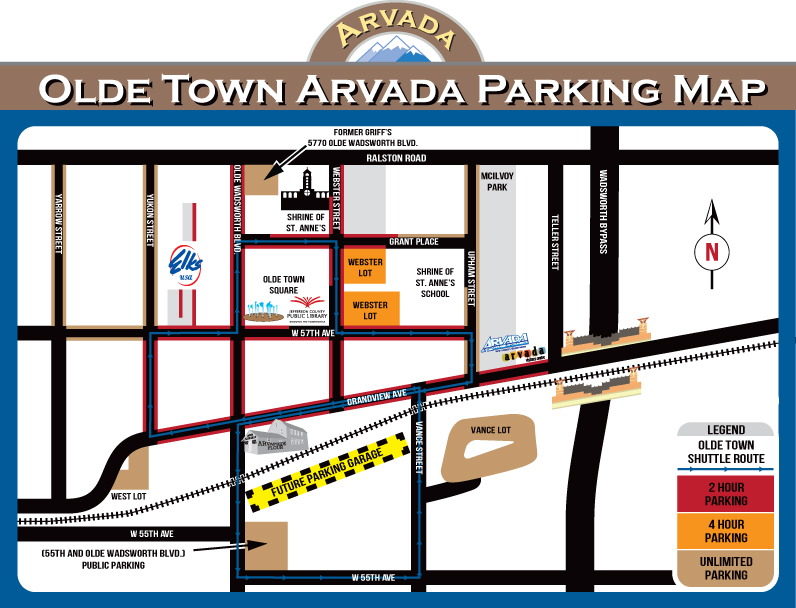 If you are in our neck of the woods, be sure to stop by Olde Town Arvada. 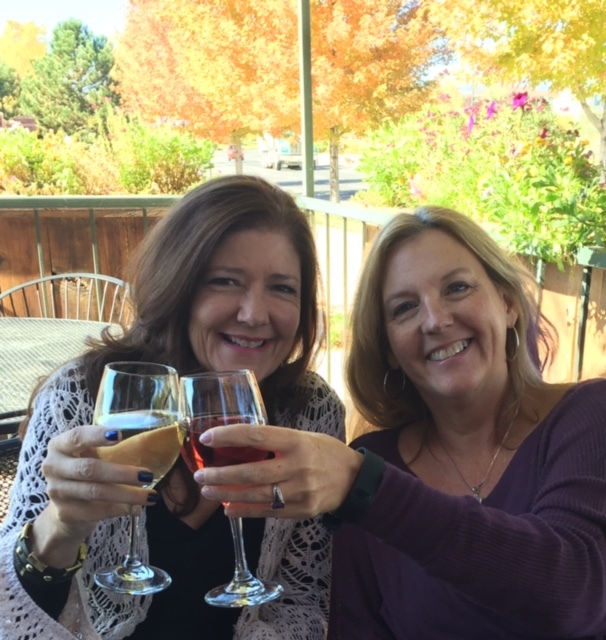 This entry was posted in Cheers!, Family Fun, Social Staircase, Traveling Fools, Wine and tagged Arvada, crafts, Family, Friends, Lifestyle, Memories, positive, visit on September 16, 2016 by notsooldladies.